By taking a look around in our surroundings and our local areas, we have all seen construction workers making, improving and re doing city streets, pavements and even street roads. All of this is only made possible by applying a fresh layer of asphalt. The dug up huge pieces and chunks of asphalt are not dumped anywhere, or thrown anywhere in a landfill or a dump site or an area. However, since this asphalt can never really break down it is taken to various big plants for recycling and using it again purposes. Basically the recycled asphalt is really the old dug up asphalt, which is then ground and mixed into a larger size. When it is mixed properly, the materials tends to harden, becomes more compact and firm. Hence it is able to bind and stick together easily. In order to attain maximum benefits and best results from the recycled asphalt, it needs to properly and professionally spread out once the pavement or the drive way is evacuated. Also once the material is applied in a uniform manner and evenly, care must be ensured to make the RAP wet and then use a roller on it. The purpose of the roller is to make the asphalt more compact and hence bind together firmly. By using recycled asphalt, one is able to get a new, more solid and a cost effective drive way which even appeals to the eyes of those who view it. 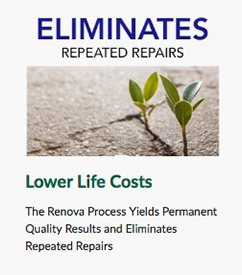 Using recycled asphalt, created by an asphalt recycler like the RENOVA, has various advantages and great benefits to the user. One of the biggest advantage is that is very affordable and cheap. 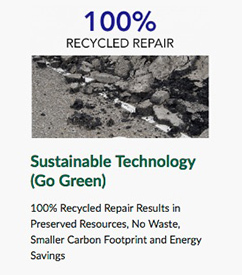 Recycled asphalt will require very few raw resources as compared to virgin asphalt. Asphalt basically contains a large volume of oil and oil prices are generally high. 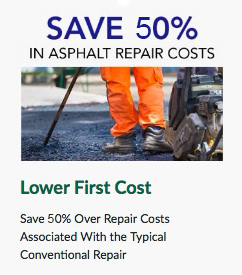 Hence, by using recycled asphalt it can make a great difference in the pricing. It is our moral responsibility to use safe the environment in every way possible that we can. Asphalt is not a biodegradable material hence it cannot break down or decompose. Therefore if it is kept in land filled sites or dumped in places it will never break down but occupy space always. Hence, it is our duty to use old asphalt in order to recreate new asphalt. Recycled asphalt has great binding qualities which tend to make it very compact and binds it really well. When asphalt is recycled it still has tar contained in it .As result it binds more firmly. Hence, when recycled asphalt is made wet it will tend to bind more firmly, it will also remain in its original place as well as minimize all kinds of dirt and dust. Recycled asphalt has a certain composition which makes it an ideal to hold up the pavements when it rains or snows. Also it is like a protective layering which tends to protect, prevent any kind of flooding or even draining taking place. Not only are recycled asphalt affordable but they are very appealing and attractive to the eyes of the viewer. This beautiful, unique appearance of the recycled asphalt is very appealing to home owners and home makers.